Ben and Melissa do: On (& off) the needles. 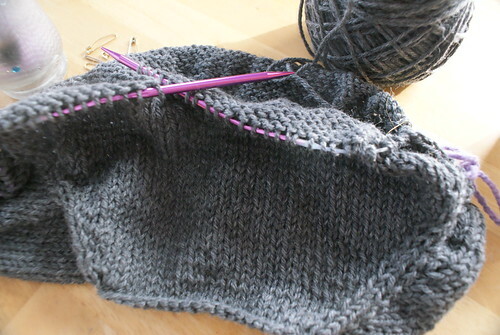 On (& off) the needles. If you've noticed my little instagram feed widget to the right over there you probably see I post a fair amount of knitting photos. I love the act of knitting and providing knit goods for the ones I love. It's funny because whenever I'm knitting something I want to work on it as much as I can to finish it. Then when it's finished I miss knitting it. Knitter problems. ;] Please do friend me on Ravelry if you're over there! So far in 2014 I've knit a few small projects. 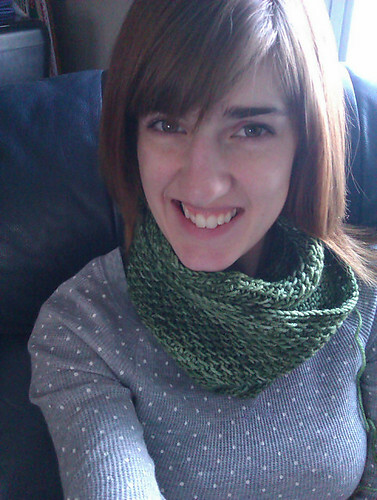 First is a honey cowl made with an absolutely gorgeous skein of yarn Ben put in my Christmas stocking. (For those wondering it's called Fiddle Knits "Beats" the color is Forest Dweller. I'd never heard of them but isn't it lovely?) I agonized over the perfect project to knit with that wonderful yarn and I know I picked the right one. I LOVE my cowl. The color is perfect and it's super comfy and goes with everything. Lastly, another knit born out of my posting a picture on Facebook. 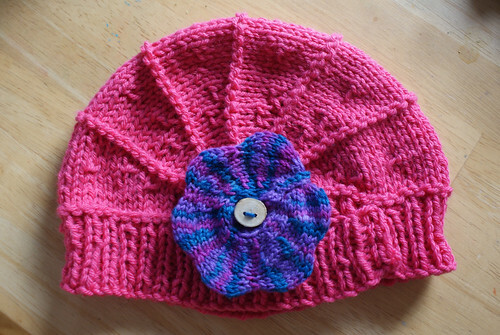 ;] I had posted a hat I knit for a Christmas order, and I got a request for a similar one. This is Poppy. Also knit with Berroco Vintage. In other news, I'm really itching to move into our permanent bedroom and have started to do a bit of work here and there to get us in there. I'm trying to decide if it's more of a priority to just get in there, or to do more cosmetic work to it before we bring in all our things. What about your other blog?